Looking for a professional speaker or a master of ceremonies to host your event? At Vogue Entertainment we know that it’s all about finding the right personality to fit your evening. We have a wide selection of business and marketing speakers, hoax speakers, keynote speakers, motivational speakers, and TV and media speakers to choose from. 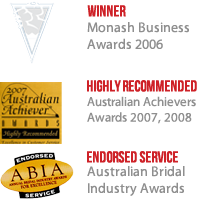 Contact us today or give us a call on 1300 296 133 to find out more about our speakers and MCs.